Pay your Lodge Dues or browse the items below to find a gift for yourself! 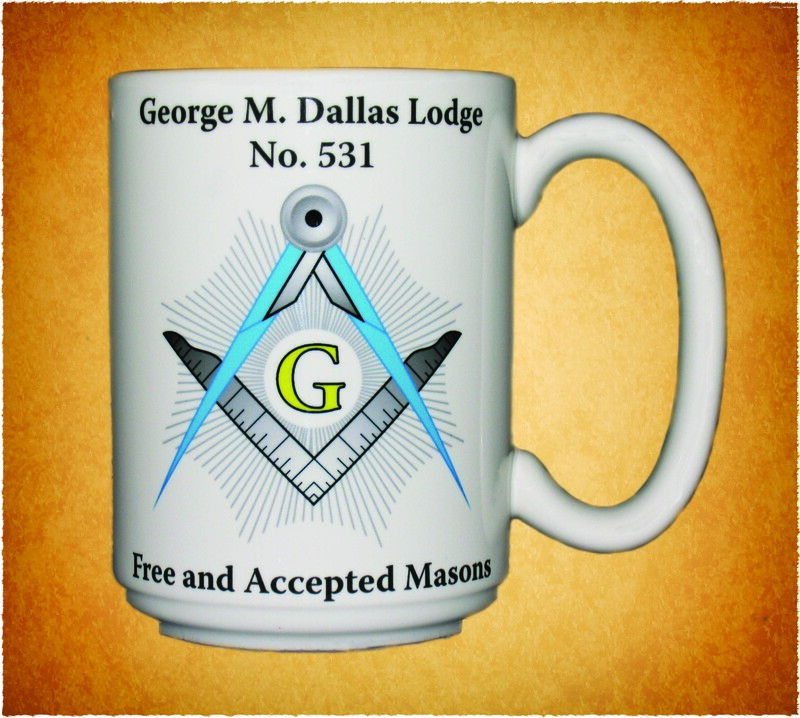 A portion of merchandise sales benefit Lodge 531‘s Masonic Charity Fund. 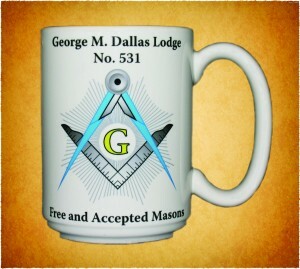 Drink your coffee the Masonic Way! Fees & Shipping costs are included. Click on the Photo to get a better look! 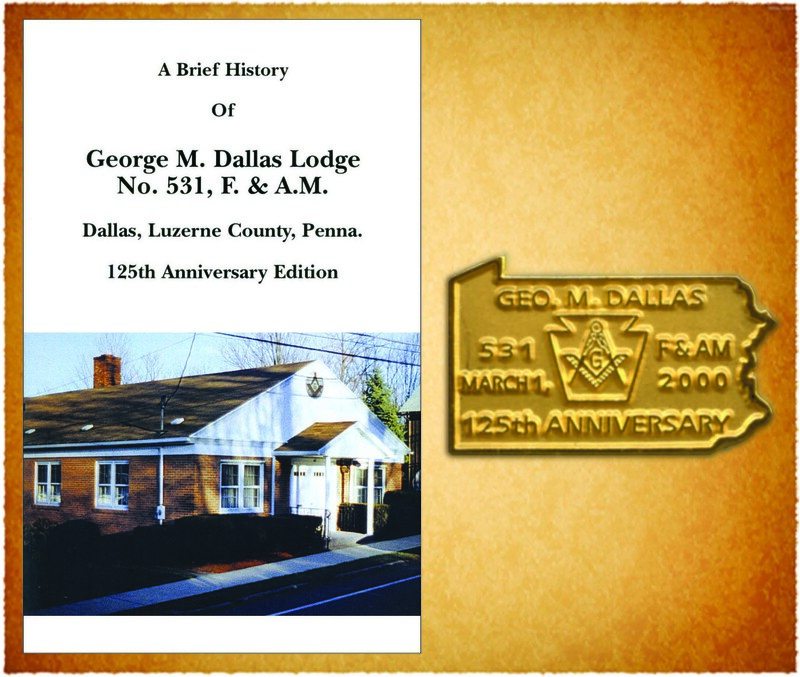 Learn the history of Lodge 531 and the men who made it great, from 1875 to 2000, by reading A Brief History of George M. Dallas Lodge No. 531, F. & A.M. The book is accompanied by a Gold-tone Lapel Pin which measures one inch across. Fees & Shipping costs are included. “All Abroad!” Hobbyists and kids alike will surely enjoy adding this car to their train set! The Lodge 531 Train Car was initially introduced in 2000 to commemorate our 125th Anniversary. It’s a great gift for Christmas or any time of the year! The car is navy blue and measures 4 H x 14 L x 3 W. It’s a 4 Bay Centerflow 3-Rail made by Weaver Models of Northumberland, PA. This is a limited edition item so order it now while supplies last! Fees & Shipping costs are included.